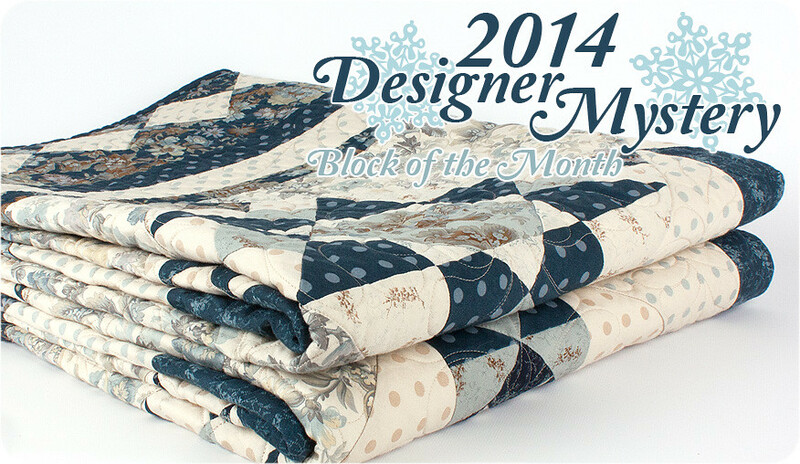 Thank you all for participating in our 2014 Designer Mystery Block of the Month Blog Tour! We hope you enjoyed getting a closer look (without revealing too much) at our 2014 Designer Mystery quilt and getting to hear about some special people in our designers' lives. To recap, we hopped on to a bunch of different blogs where 2014 Designer Mystery Block of the Month designers revealed a special star in their lives. We heard from Laundry Basket Quilts, Sandy Gervais, Sweetwater, Bonnie & Camille, Minick & Simpson, V and Co., Kate Spain, Kansas Troubles Quilters, Bunny Hill Designs, Me & My Sister Designs, and Fig Tree Quilts, each story as sweet as the last. Hop around and hear about their stars, if you missed the blog posts! Our winner from last week's giveaway is.. I would dedicate my block to my late mother and call it Caring Connie. She made friends everywhere she went and took care of anyone who needed taking care of. This Sunday will be the 22nd anniversary of her death. It's still hard to believe it has been that long. Congratulations, Lisa Marie! Please email chelsey@fatquartershop.com to claim your prize. 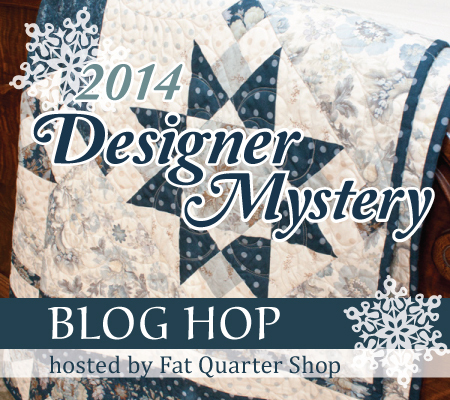 Don't forget to reserve your spot in the 2014 Designer Mystery BOM. Last year we sold out just days after it began! Sign up for the monthly program, reserve your backing set, and finishing kit today. We hope you enjoyed our tour and are excited for the 2014 Designer Mystery BOM to begin!